This print was done in July of 2003. 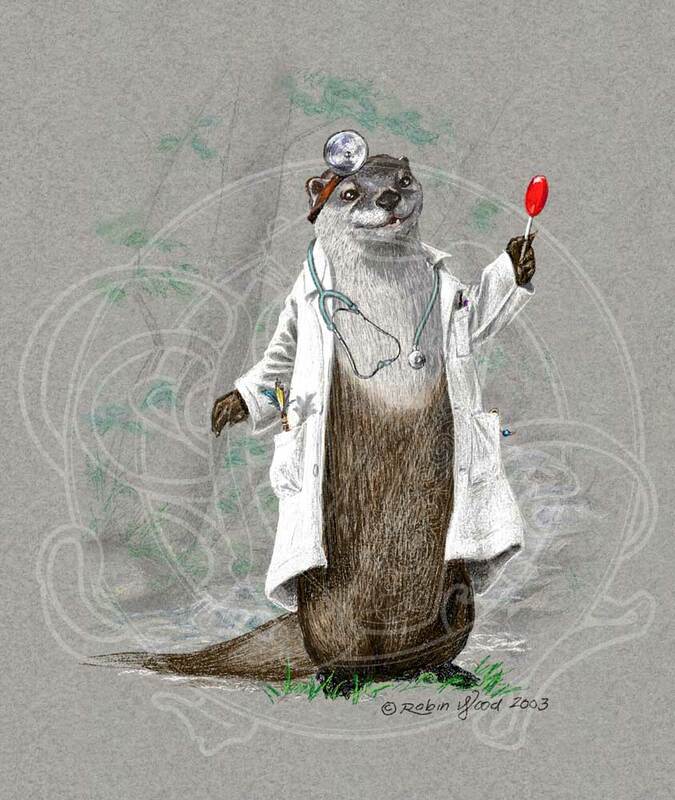 I thought that the world could use more Otter Medicine, so I made this! Otter Medicine, of course, represents feminine forces, joy, fun, acceptance, balance, caring and sharing, contentment, happiness in the good fortunes of others, playfulness, imagination, helpfulness, and communication. (Being talkative is communicating, isn't it?) I don't know about you, but I could use more of all of that most of the time! This image was done entirely with Painter™ 8, using paper texture, brushes, colors, and background paper that I designed to simulate Prismacolor Pencil on Canson MiTentes paper. You can purchase Otter Medicine at my Zazzle store, or just go to my Zazzle store front page to see everything I have there.